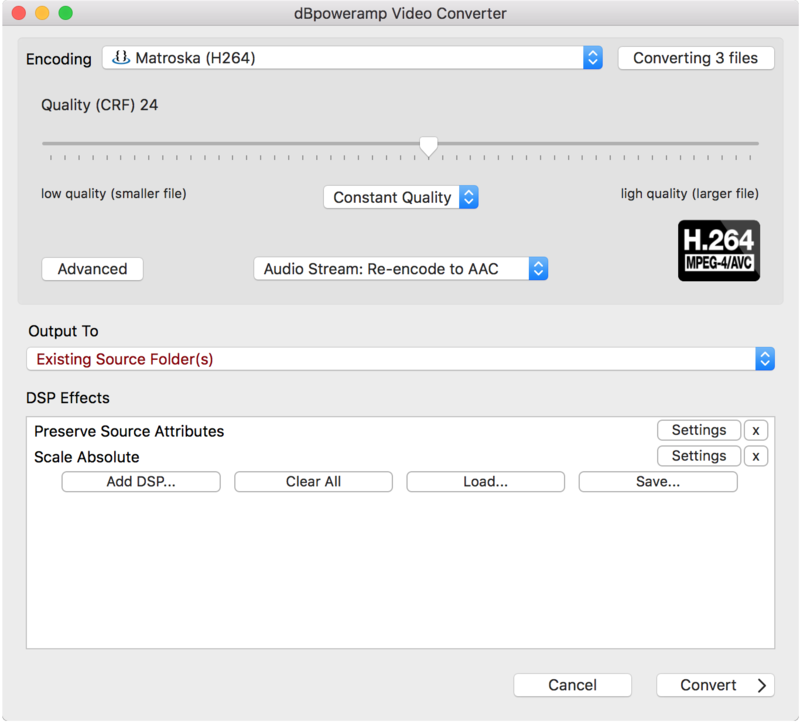 dBpoweramp converts a multitude of video formats, this section shows the different ways of invoking video converter. 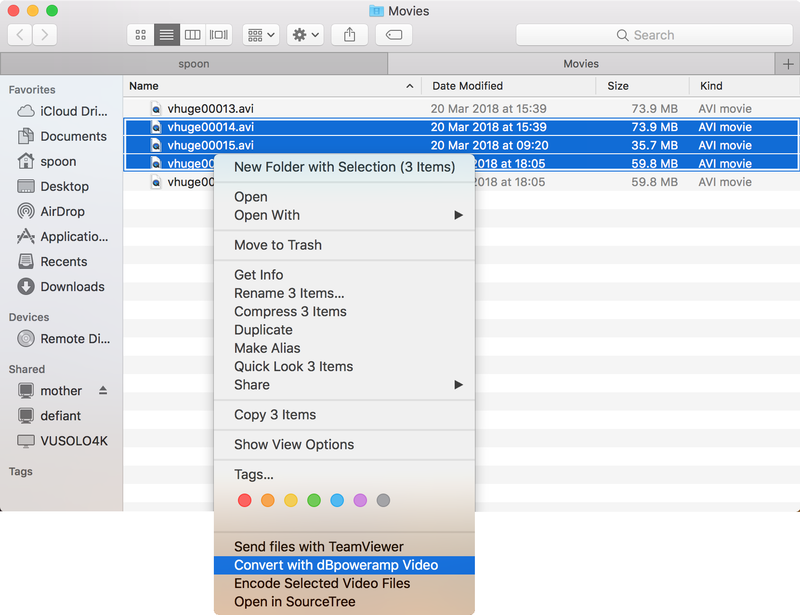 Converting X Files shows all files queued for conversion and allows renaming. 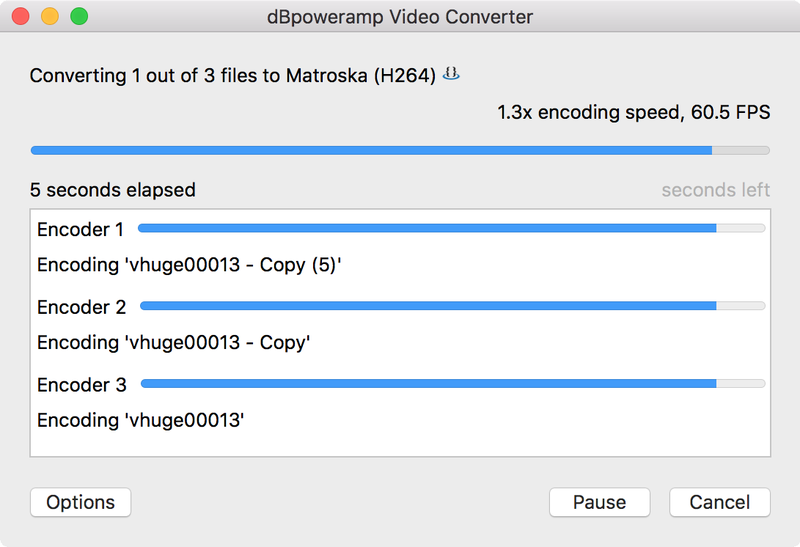 Overall progress is shown at the top, with encoding speed showing the combined real time speed (example: a 10 minutes long track takes 1 minute to convert, has a 10x realtime speed), frames per second processed is also shown. Multiple CPU cores will be used at the same time by each encoder, in the above example two encoders are running side by side, each using 4 cores. It is possible to force usage of specific encoder count, or CPUs per encoder with the DSP Effect 'Multi-CPU Force'. Whilst converting the number of encoders n use can be changed by selecting Options >> Encoding, this change is only for the current encoding queue. 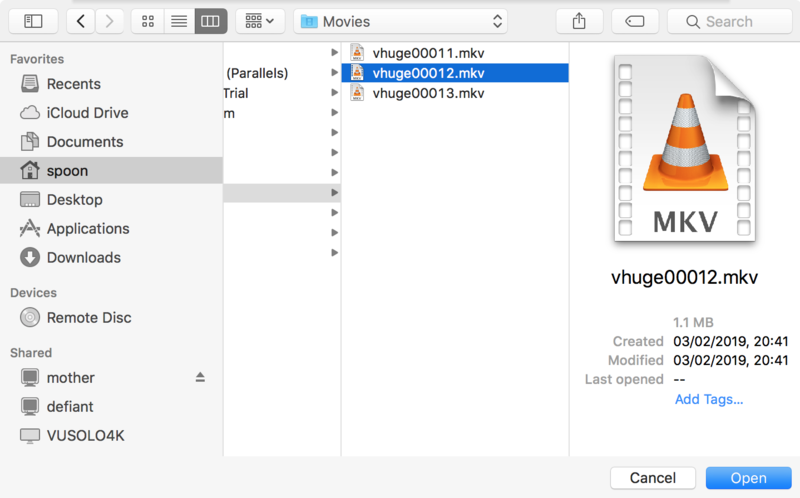 Another way to select files for conversion is with File Selector (run dBpoweramp Video Converter from Control Center) a traditional Open File selection window shows to select videos.